Have you ever felt that a little everyday thing you do could be improved? I am always trying to make my life more efficient like rearranging furniture, finding new places for kitchen utensils, and automating digital processes so I don’t have to do them. Some processes in the name of efficiency require hardware to do the job properly. Hardware will mean physical machines that can sense the world around them, interpret information, and communicate with other devices to carry out tasks. You might think it would take a mechanical engineering degree and a lot of intelligence to create such a machine, and probably isn’t worth anyone’s time to focus on solving such small problems. That’s where Arduino comes in. For those who don’t know, Arduino is an open source computer hardware and software company (and blossoming user community) that designs and manufactures simple, single-board microprocessors (computers) for building digital devices and interactive objects that can sense and control objects in the physical world. This is an Arduino board - the "Uno" model. In other words, Arduino provides kits that are extremely simple to use to build out the hardware needed for these processes. 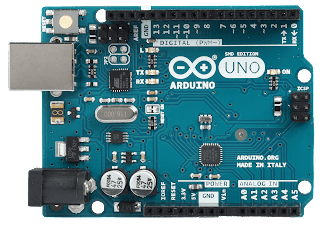 Arduino provides the ability to manufacture at a small, precise and personalized level, and the ability for the user to truly DIY and take ownership of the product and therein their own life. Which is what I love about maker culture. And so, I reveal to you, dear reader, the beginning of a series about my exploration into the world of Arduino. When I was first introduced to the world of Arduino in my later high school years, I was struck with the fact that it was so simple, you could do it yourself with very little research or previous knowledge. The sheer accessibility of it was wonderfully mind boggling. Along with accessibility to create, there was lots of accessibility to connect with other makers in the world. If I ever needed to look online for resources, I was immediately enveloped in the magnitude of the online Arduino community. I especially liked reading other opinion pieces like this one. And so, I hereby begin my journey of learning to use Arduino for my evil bidding. Before I can really commit any lasting mischief, I need to learn the basics! 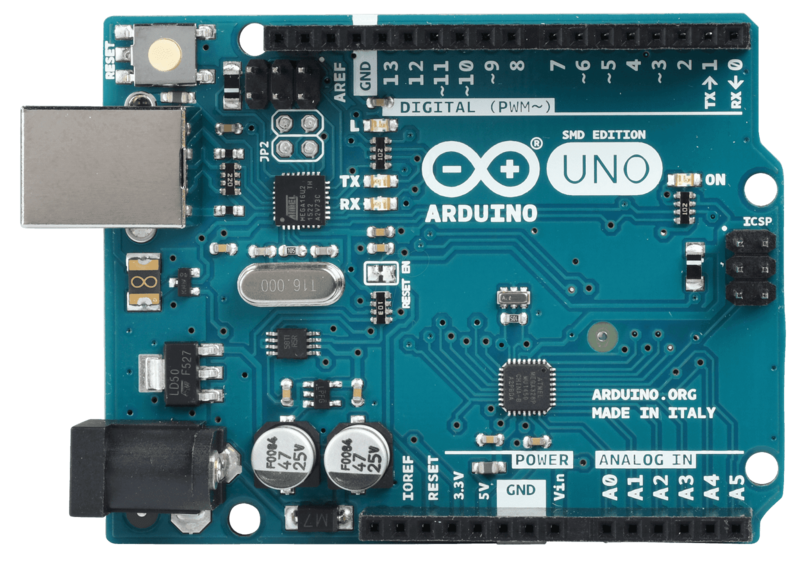 As I mentioned above, Arduino is open-source and has a really great online community of people and resources to get you started. I decided to begin with the Arduino Tutorials, which can be found right on their website and are baked into the download of the Arduino software. The first project I completed was a simple bit of code to get an LED to blink on and off every second. Not much going on here, but it was really cool to get the parts all working together for the first time. And just imagine what I can do if this could take me only a few minutes to work out! From Blink, I graduated to Button. This project is much the same as Blink, except that a button controls the LED turning off and on like a light switch. This was my first foray using input and output, and what a magical time it was! Having the ability to control an LED with the touch of my finger was really cool. Furthermore, it feels more like having a two-way conversation with a robot friend! You tell it something (by pressing the button) and it responds to you. That’s pretty cool. The ideas are already brimming in my head from what I’ve learned and how much I still have to learn! Stay tuned for the next instalment, when I explore the button’s more complicated (and therein cooler) cousin, the potentiometer.